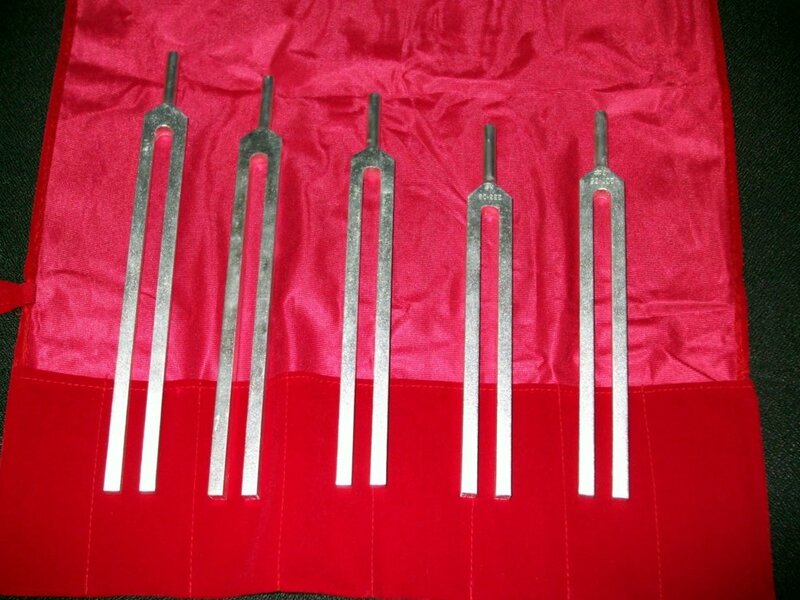 The 5pc Sharps tuning fork set is like the black keys on the piano. This set is the compliment to the Harmonic Spectrum Set (which are like the white keys on the piano) and is also based on the Pythagorean Scale. The Sharps set fills in the missing frequencies between the chakras and completes the middle octave on the piano. These set of forks work wonderfully on relieving lower back pain as they correspond to the lumbar vertebra. See the book, 'Tuning Fork Massage' with pictures on how to use them on the spine. Cost of 5pc Sharp Set is $79.99 plus $13.99 postage in U.S.A.